With five children I quickly discovered that all food tastes better when it is dipped! So for Christmas day, after a post-present-opening brunch, the rest of the day was spent dipping food. The day was roughly divided into an early afternoon snack of: Hot Artichoke dip, Veges and Dip, Hummus and pita, Tortilla chips and salsa, and a cheese, sausage and crackers plate (I know, the cheese&crackers kind of ruins the whole all-dipping-all-day concept, but we ate them anyway), and then for dinner: Four Fun Fondues! It makes for a nice grazing atmosphere, and if you choose to do so, you can eat constantly all-day-long. As this would also be fun for New Year’s, I thought I would share a few of the recipes. 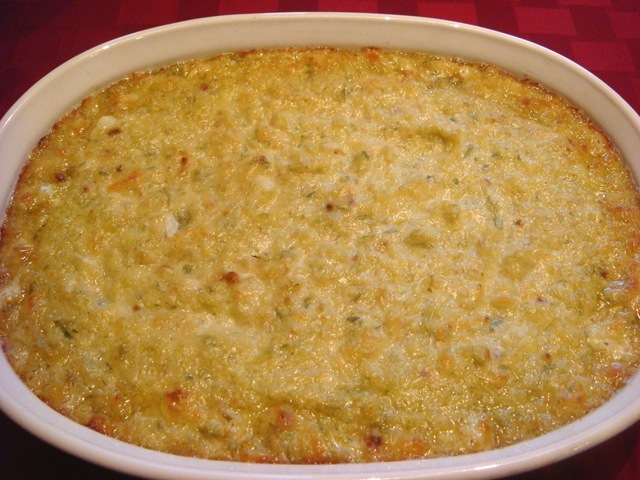 Artichoke dip is definitely one of the favorites around here. But only if it is accompanied by Crispy Bread. They will consent to eat it with crackers once they have inhaled all of the bread, but only when I assure them that I really don’t have any more bread in the house to make more crispy bread. And don’t let this get out, but I have also seen my children dip carrots and raw broccoli in the artichoke dip, so be sure to also have a vege tray on hand, as well. The bread is easy to make- so buy much more than you think you will need. Start with a long, thin baguette (or 2 or 3). 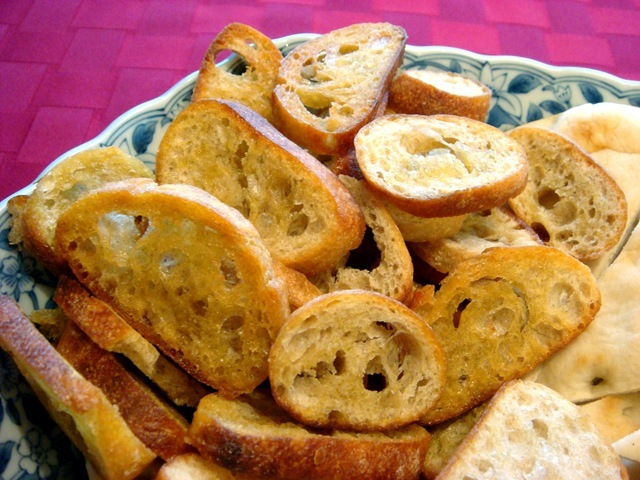 Cut the baguette into thin slices. Pour a couple of tablespoons of olive oil on a rimmed baking sheet. 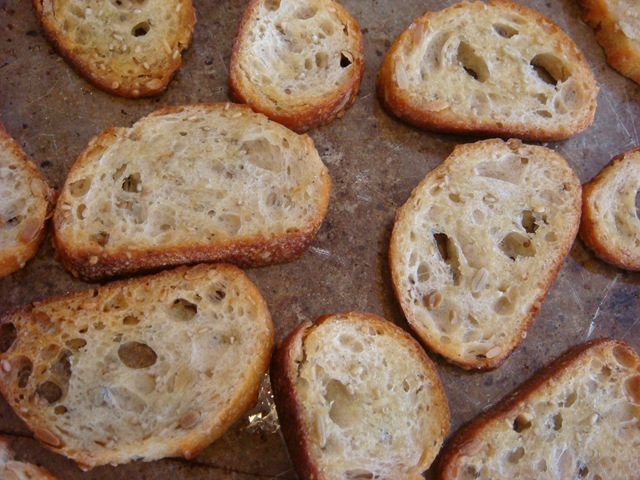 Place bread slices on the oiled baking sheet. Turn each slice over to get a small amount of oil on each side. Bake at 350°F for about 10-15 minutes, turning once. These can be made several days ahead of time-just be sure to hide them or your children (yes, you can blame them) will eat them all before you get a chance to set them out with your dips. 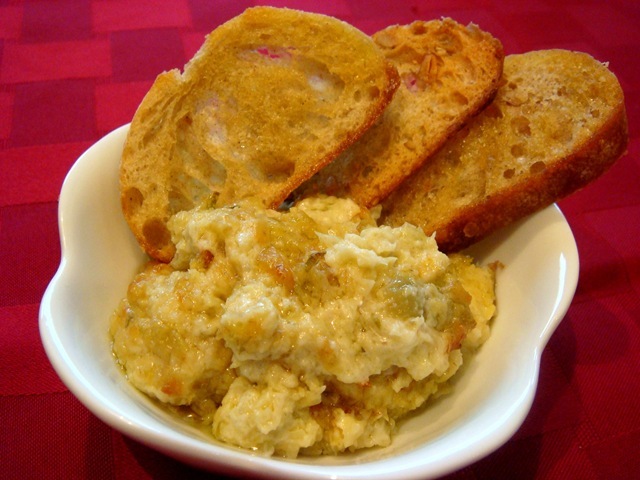 Our favorite artichoke dip is a simple mixture of artichokes, green onions, garlic, mayo and cheeses. 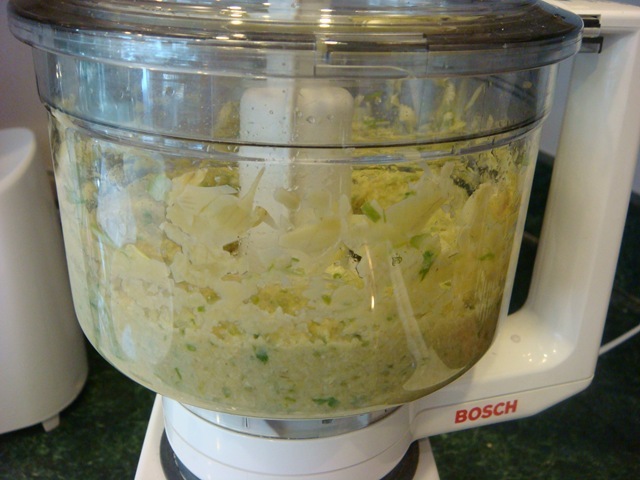 A food processor makes it quick and easy to whip up a batch at the last minute. Or prepare it the day before, keep it in the fridge and bake it just before serving. Tomorrow (hopefully-I am finding it very hard to get time on the one family computer with everyone home from school! ), I will share our fondue recipes. 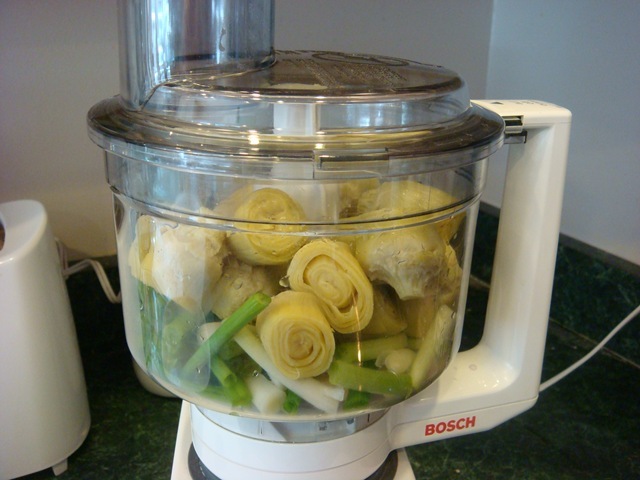 Combine artichokes, garlic and green onions in a food processor. Pulse until coarsely chopped. Stir in mayonnaise, cheeses, salt and pepper. 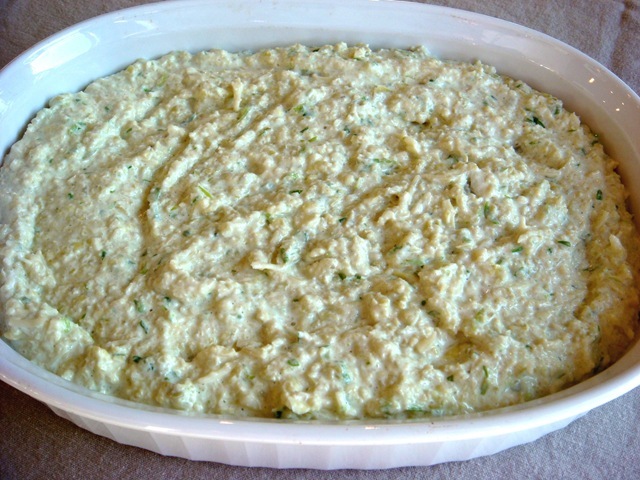 Spread in a baking dish. Bake at 35o°F for 30 minutes. Serve with bread, crackers and/or fresh vegetables. Note: Dip can be prepared ahead (unbaked), refrigerated and then baked just before serving. 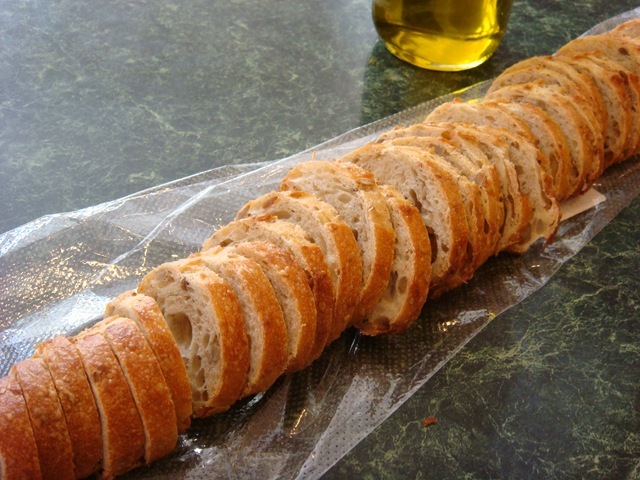 Cut baguette into thin slices. Pour about 2 Tbs olive oil on a rimmed baking sheet. 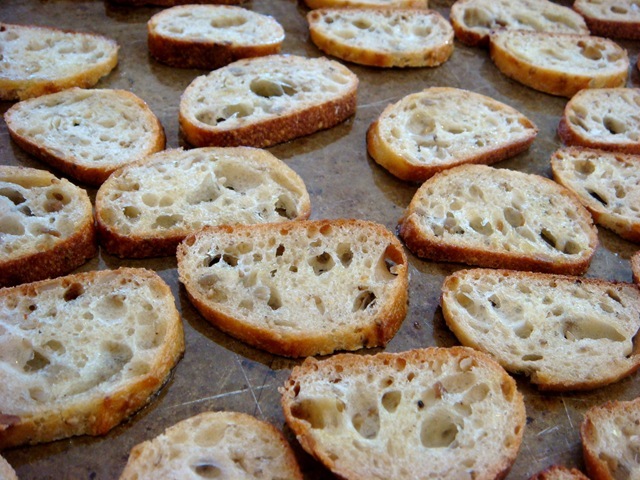 Place bread slices, in a single layer, on baking sheet. 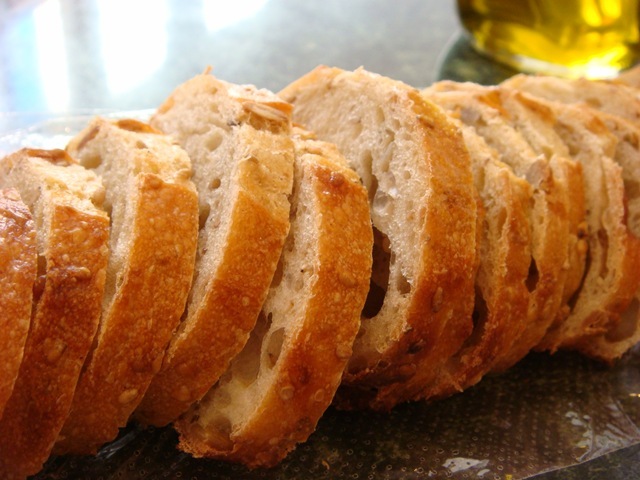 Turn bread slices over to get a small amount of oil on both sides of bread. Bake at 350°F for 10-15 minutes, turning once, until bread is crispy. 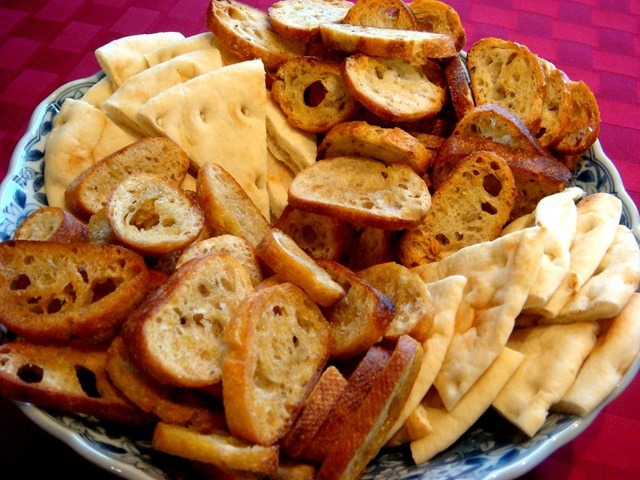 NOTE: This is also a good way to make croutons: Add some seasonings to the olive oil (garlic powder, dry salad dressing mix, dried herbs, etc), spread it out on the baking pan and stir in some cubed bread. Bake until crispy.